Uses for landscape shrubs include foundation plantings, formal hedges, informal privacy hedges and specimen plants. Orlando Outdoors is a licensed and insured company specializing in landscape gardening. The company’s main outlet center is at 5001 W. Sand Lake Road, Orlando, FL 32819.Orlando Outdoors has been providing a range of high quality products, including turf grasses, mulching products and plants, as well as professional services, including landscape design, installation and maintenance, to customers since 1995. This indicates our company’s level of experience and dedication to the provision of quality products and services.We have a reputation for and pride ourselves in a total commitment to provide excellent services and high quality products at competitive prices at all times.Orlando Outdoors staff consists of a team of friendly, highly skilled professionals committed to consistently providing the highest levels of customer services. The products offered originate exclusively from reputable, high quality suppliers; ensuring customers will receive nothing but the highest quality products.To find out more about products and services offered by Orlando Outdoors, peruse this website, visit the store on W. Sand Lake Road, Orlando, at the intersection of Sand Lake Road and Kirkman, or call and speak to one of the company’s helpful and friendly staff members. 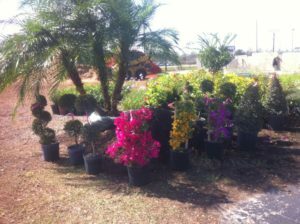 Orlando Outdoors provides a range of services, including landscape design, installation and maintenance. In addition, we offer a free consultation and quoting service, as well as resod specialties, hydro seeding and sod installation.